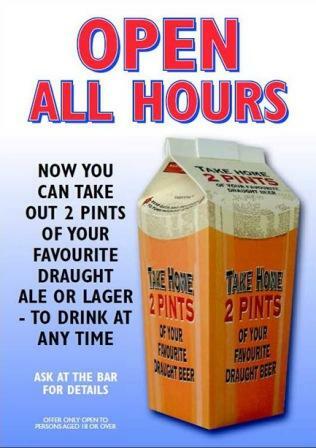 Entrance fees: CAMRA members £1.00, Guests £3.00, club members free. Rockin’ blues with a touch of soul……. 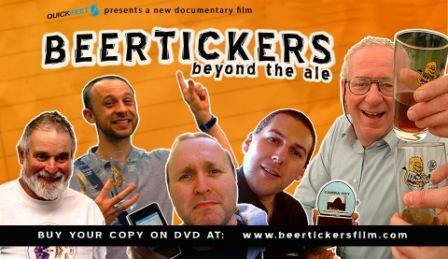 We are also showing the new “Beertickers beyond the ale” documentory at various times through-out the event. Golden Ale A new brew to replace Original, same ABV but a completely different taste. Dark Christmas Ale Very dark and spiced with nutmeg, cinnamon, cloves and all spice. Golden Ale Green hopped light and refreshing golden beer. Golden Ale A very hoppy single hop golden beer featuring New Zealand Green Bullet. Best Bitter New best bitter. Dark Spriced This is a perfect Winter warmer with lightly spiced aromas of cinnamon, coriander and ginger. The palate is full, with a pleasant spicing coming through. Very smooth and drinkable. Blackaddler Oh Mr Porter ! Session Ale A straw coloured ale to bring the harvest home. Premium Sussex Ale Award winning porter. Moorish session ale Has a burnished copper colour. 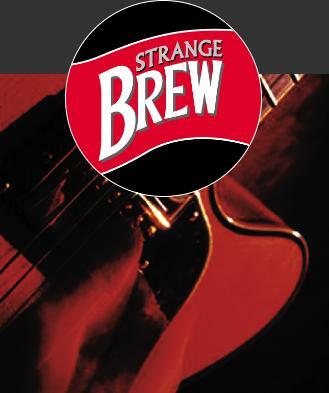 The taste is fresh and zingy with a strong malt overtone. The hops are Admiral for bitterness and Perle and Cascade for aroma. Pale, Crystal and Amber malts give a depth to the ale. This ale is complementary to food and nice to just drink and share with friends. Bitter This is a Golden summer ale at 4.4%, light in character. This is a hoppy ale with fresh cut grass and hedgerow qualities, leaving a nice dry after taste that invites you to take the next mouthful. The malt profile is simple but not bland, furnishing the hops with the right stage for a stella performance. Christmas Ale Exclusive: try it first here, Christmas in a glass. Bitter From the very first draught, this pale hoppy ale will slake your thirst. A fusion of Maris Otter malts and Pilot and Fuggles hops explode on the palate as biscuit and juicy fruit flavours give way to citrus and berry hops, good hop aroma and hoppy after taste. Bitter May Day is a cause for celebration the world over although you wouldn’t think it to look at the Stone Faced politicians at Moscow’s Red Square parade. A glass or two of this fabulous copper coloured ale should see a thaw in relations and could bring a smile to the face of many a bitter rival. Pale and Dark Crystal Maris Otter malts unite to embrace a motherland of chewy toffee while fruits and berry flavours rush in. Styrian Goldings from the East and Nugget Hops from the West are allied in perfect harmony as pine and citrus hop flavours caress the taste buds. Bitter A glorious golden pale ale crafted from the finest pale and crystal malts. Faint biscuit and chewy, juicy citrus fruits burst onto the palate then spicy Boadicea and Pilot hops pepper the taste buds leaving a pleasing long and dry bitter finish. German hopped bitter his lingering combination of pale Maris Otter malts and choice German hops may make you pause for thought. As you contemplate the gentle biscuit malts, fresh Hersbrucker hops seduce the taste buds educating and enlightening the palate. A rich red to black bitter Carefully crafted from the finest crystal and chocolate malts. Chewy juicy fruit flavours give way to a deep lingering bitterness provided by an abundance of Styrian Goldings, Millenium and Nugget hops. Mild A Traditional dark Suffolk Mild packed full of flavour, the name derived from the old Suffolk term for scarecrow to remember the Suffolk farm labourers whose staple diet consisted of; Mild for hundreds of years. Porter Exclusive: Black Cherry Porter. Barley Wine Exclusive: Christmas Special. Bitter Deep amber in colour, full of flavour and aroma to balance it’s healthy strength. Mild A traditional Black Country Mild, with hints of chocolate. A long dry finish complements the gentle aroma of the Goldings hops. Premium Ale Junction Ale is a strong 4.5 ABV premium ale. Brewed with Challenger, Bramling X and Goldings hops, the beer has a deep amber colour with a spicy hop character. Bitter A well balanced straw coloured bitter which is initially sweet but with a hoppy aftertaste close behind. Makes this a good session beer. Mild Dark ruby coloured ale with a complex balance of fruit and hops, leading to a pleasant lingering hops and malt finish an award winning festival favourite. Golden Ale A Golden premium ale brewed with Maris Otter and happed with goldings to give the beer a hoppy bitter taste with a malty body and sweet finish. A “True Bitter”. Smoked bitter Brewed using barley that has been smoked over oak chippings, by the brewers, to produce a brown beer with a distinctive smokey flavour. Bitter A mid-brown session bitter. Traditional English malts and hops combine to make this a well balanced and satisfying beer. Pale Beer A fine light pale beer. Lots of late hop leads to a clean, crisp finish. Bitter A malty, chestnut brown beer. The full malt taste balances well with hop bitterness and fruit flavours. Ruby Ale A dark ruby strong ale, rich and fruity full flavour with a smooth finish. A light session ale Brewed with locally grown Golding hops, to give a sweet delicate taste. New bitter We have the first cask from the whole brew, the cask was filled whilst we were there. Golden session ale Combinations of three hop varieties with pale malts. Traditional Ale A traditional 80/- recipe with a distinctive hoppy finish. Golden Ale Golden Cygnet seems appropriate for the first real ale that Two Bridges Brewery produces. It will be golden in colour, light and fresh in taste with a hoppy flavour. New mild Midnight Swan is their special edition “Winter Warmer Christmas Ale”. Deep in colour with rich cinnamon and orange undertones. A real taste of Christmas. Honey Porter Final cask of this one off special, brewed for the 2009 Ascot Racecourse Beer Festival. Mr Whiteheads Cider Midnight Special 5.0 A unique blend of fresh desert and perry pears, no additives. Millwhites Rum Matured 6.5 Aged in rum barrels. Borrow Hills Farmhouse 6.5 Dry – Traditional farmhouse cider.